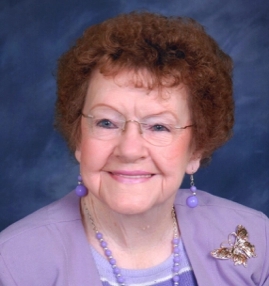 Madeline Deaton Lewis, 91, of Roanoke Rapids, NC died Sunday, October 14, 2018 at Halifax Regional Medical Center. Mrs. Lewis was born in Richmond County, NC the daughter of the late Noah Gaston Deaton and Lannie Bean Deaton. She was the widow of Linwood Earl Lewis, who died September 1, 1982. She was a former employee of K Mart, in Roanoke Rapids. She was also preceded in death by: a son Clifton Lewis; a great granddaughter, Hayden Odom; and twelve brothers and sisters. Known to some as Mat, Aunt Mat, Mema, Memat, Magaline, Queen and Angel, Madeline brought laughter and light to every face in a room. She was a strong, brave, beautiful woman in life and in her faith. She cherished her family and each of her church members. Her goal was to one day meet her Lord and Savior and bring happiness to each heart she touched along the way. She was very blessed to have such a close, supportive family and they were all blessed to call her theirs. She is survived by: a daughter, Linda L. Odom and her husband Dennis of Roanoke Rapids, NC; daughter-in-law, Mary Lewis of Mebane, NC; six grandchildren, Brandon Odom and his wife Jennifer, Jeromy Odom and his wife Misty, Starr Grant and her husband Cory, Shane Lewis, Jamie Lewis and his wife Amy and Levi Lewis; eight great grandchildren, Jessica Lewis, Drake Spillane, Zyler Grant, Hayley Hester, Layla Grant, Max Lewis, Ayden Odom and Emery Lewis, several special nieces. The family will receive at Wrenn Clarke & Hagan Funeral and Cremation Service, Tuesday, October 16, 2018 from 7:00 to 9:00 PM. A service to celebrate the life of Mrs. Lewis will be held Wednesday, October 17, 2018, at 2:00 PM, at New Testament Christian Church, with Minister Daniel West officiating. Memorial donations may be made to: New Testament Christian Church or the American Cancer Society.